So the time has come. You’re serious about buying one of the new homes in Dallas GA this year. Hopefully, you’ve already started doing research and preparing so you can move further along in the process. However, if you’re really starting from scratch, here’s a helpful checklist to make sure you are prepared through every step of this journey. It’s not always easy, but at the end, it can be incredibly rewarding and worth all the effort. Save for a Downpayment. This is something you should have already been doing, because it’s important to have a solid downpayment on your home to reduce your mortgage payment. Ideally, you should put down 20% to get some of the best rates, but that’s not always possible. Still, try to save as much as possible. Now is the time to live frugally so it can pay off with more home for your buck. Find Out How Much You Can Afford. There are plenty of online mortgage calculators that will give you a fairly clear idea of just how much you can realistically afford on a new home. Sometimes you may be pleasantly surprised, but other times, you have to be realistic. It’s better to scale back than put yourself in financial risk. Buy only what you can comfortably afford. Check Your Credit. If you’ve never really bothered to check your credit score, you could be in for some surprises. Your credit score is incredibly important when you start looking for a mortgage lender so it’s important that you have a solid score. If it needs some improvement, start working on that now. Fix any errors that may be no fault of your own, but also start working to get your credit score higher so that you can get a lower interest rate on your mortgage. Look for a Mortgage Lender. As soon as you’re serious about buying a home, you need to start shopping for a mortgage lender. Meet with multiple lenders, because each may have different rates, programs and other options and one may suit you better than another. In the process, when you find a mortgage lender, make sure you get pre-approval so that buyers know you’re serious and able to make an offer. Also, don’t make any sudden financial or job changes at this point. Even taking on a new credit card can impact your credit score. Make a Wish List and a Need List. It’s important to know what you absolutely need and how that differs from what you want. Make a list of needs and consider ranking your wishes according to how important they are to you. In the long run, this can help narrow down your home search. Start Browsing Online and with a Realtor. Some people like to go through the process alone, but a Realtor really can be helpful in making sure you have all of the right documentation and get the best house and deal possible. They can also guide you to homes and areas you may not have considered. Look for an agent whom you trust and who is knowledgeable of the area you’re interested in so that you can benefit from their insight. Make the Most of Home Visits. Go to the open houses, and make appointments to view the homes that have caught your attention online. What looks great in pictures may not be so great in reality. But don’t forget to check out some that you’re wavering on as they could turn out to be real gems. 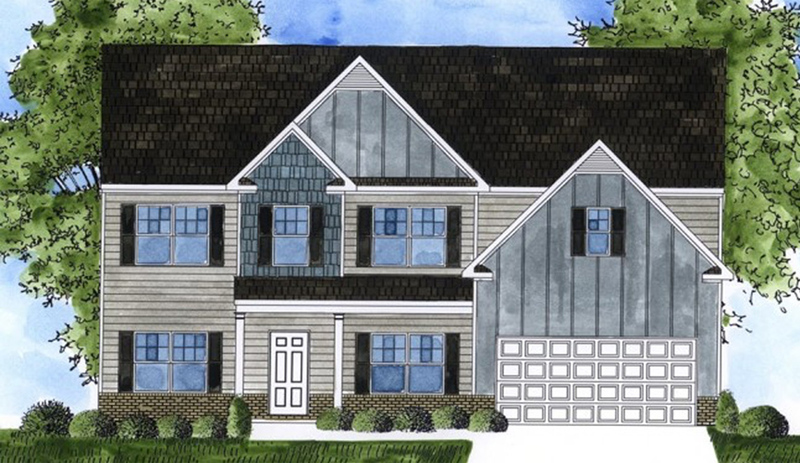 Inevitably, you’ll find one of the new homes in Dallas GA that really speaks to you and feels like it could be home. With all of your preparation, you’ll be ready to make an offer and before you know it, you’ll be settling into your brand new home.